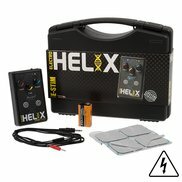 Includes 1 x Standard 9 Volt Alkaline Power Supply, 4 x Self-Adhesive Electro Pads, 1 x Small Satin Finish Electro Egg, 1 x PP3 Battery, 1 x 3.5mm to 2mm Connection Cable, 1 x Convenient Carry Case and 1 x User Manual. 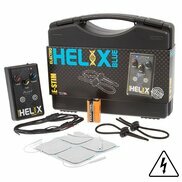 Amplify your playtime with the E-Stim Systems ElectroHelix Red Electro Set for Her. 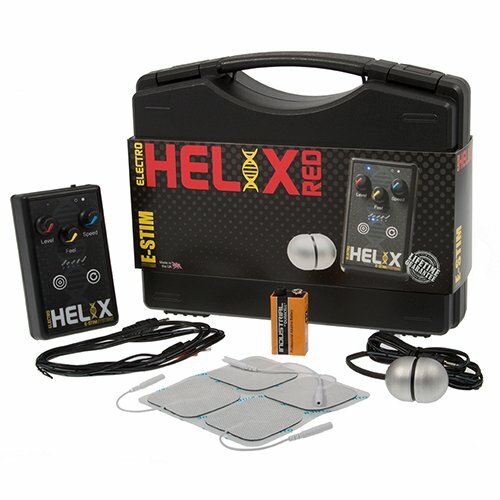 The perfect, electrifying entrance to e-stimulation, this single channel, single output kit includes four self-adhesive, electro pads, a battery, connection cable, power pack, convenient carry case and, in this Red set, an electro egg. Designed for internal use, the egg lets you get even deeper to electro play. Not only does it feel amazing, it looks it too. Featuring E-Stim Systems’ exclusive satin finish, the egg has been blasted with microscopic beads to create a gorgeous, durable surface. E-Stim have taken the core design of their hugely popular Series 1 unit and used over a decade’s worth of experience to improve it. The ElectroHelix has an updated control system, a total of five programmes and even more power – as well as plenty of other new features! The power unit has a clean, user-friendly interface to make selecting your programme easy. Choose between Pulse, Flow, Fire, Milk and Tease before using the rotary controls to seamlessly fine-tune your stimulation. Use the ‘Speed’ control to adjust the length of intervals between each shock, the ‘Feel’ control to experience a wider range of sensations and the ‘Fire’ button, also known as ‘Sport Mode’, to make everything a little sharper. Ensuring it conforms to the latest in UK and EU safety standards, this product is designed and built in the UK. Furthermore, this E-Stim Systems product comes with a full Lifetime Guarantee. Apply some sterile, water-based lubricant (sold separately) to the love egg for smoother play. Please note conductive gel (sold separately) should only be used for external play.